We talk to ourselves all day long, with our thoughts. And, what we tell ourselves has an impact on our life. Have you ever really taken an inventory of what you tell yourself? In this weeks podcast we will stretch our minds and think about this. “What you tell yourself everyday will either life you up or tear you down”. Spend the next 10 minutes and listen how you can life yourself up more and how to get rid of thoughts that tear you down. 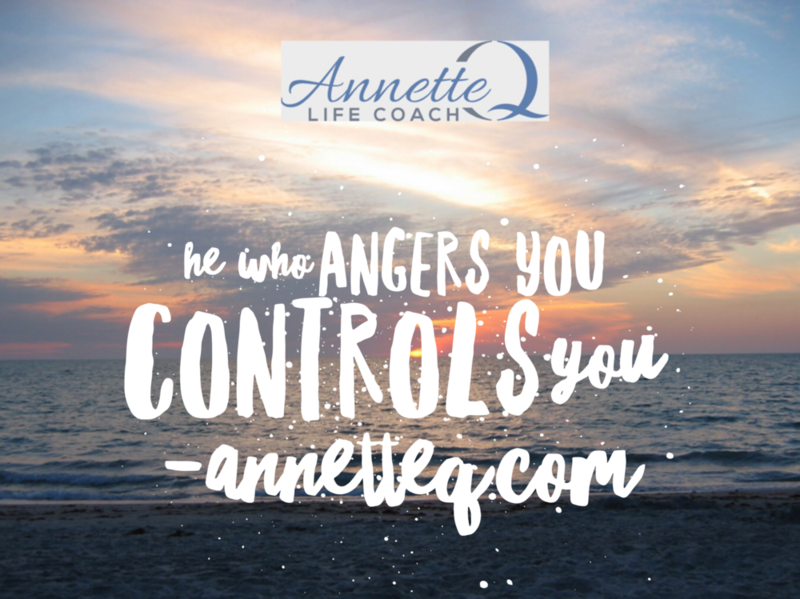 This week’s quote is about the control we give to others when we are angry with them. It is totally normal to get mad at others, but when we stew in our anger, when we give our precious time discussing with others what someone said or did to anger us, we are giving them control over us. Learn how to have more peace and be in control of YOU. HALT is an acronym that stands for Hungry, Angry, Lonely or Tired. In this week’s podcast I encourage you to stretch your mind and think about referring to this acronym before you make any decisions. If you are one of the four adjectives, or a combination of them, then HALT. Do not take action, until you take care of yourself first. An important lesson that can help us gain more clarity and lead a more peaceful life. “We need to get along with others even though we disagree with others”. In this weeks podcast we stretch our minds and really think about why we often have a hard time doing this. Why, when others do not agree with us, do we have such a hard time accepting this fact and moving forward? Listen and learn how we can we get along with others that don’t share our viewpoint. It’s not as hard as you may think and it’s all totally up to you—you hold the Power! Byron Katie said recently in an interview I was listening to “We’re mentally running the world and we’re asleep to our own”. This quote made me think about how often our thoughts are about others. How often our mental energy is not focused on us, and instead is being wasted on things out of our control. Take time for YOU, listen and do some Mind Yoga on learn how to get back some of your wasted mental energy. We all have habits. Some are good habits, some are bad habits. Some are voluntary, some are involuntary. But have you ever stopped to think about how your habits determine your future? In this week’s podcast we will stretch our minds and think more about this. Make it a habit, to start listening and learn how you can have the future you want. Make it a habit to focus on YOU. Do you take care of everyone else and have no time left for taking care of yourself? In this weeks podcast I encourage you to stretch your mind and take some time to think about why this is. “You can’t say yes to everything and not say yes to taking care of yourself. To not say Yes to health” by Shonda Rhimes is this weeks quote. Put your health first and listen for the next 8 minutes. Sometimes it’s not just physical weight but mental weight we need to lose. We are often unaware of how our thoughts weigh us down and this week I’ll ask some questions to stretch your mind and get you to uncover thoughts that weigh you down? Want to lose weight this week? Listen for the next few minutes and find out how! How often are your thoughts about things in the past or the future? Are you able to be in the present moment and enjoy where you are, right now? Whether you are constantly running around and too busy to focus on where you are now, or if you don’t like to think about where you are now, this podcast will get you to stretch your mind and encourage you to make friends with the present moment. We all can benefit from taking time out for ourselves, spend the next eight minutes doing just that and be in the moment! In this weeks podcast we look at our problems and learn ways we can not only decide if they are big or small to us, but also how we want to look at them. We’ll stretch our minds and think about what we consider a problem now and what we thought was a problem in our past. We get to choose how we look at situations and we get to decide how we perceive our problems. But we can change our thoughts about a situation by looking at it from a different view. How often do you spend trying to change someone else? Are you able to believe and accept the fact that the only person you can change is yourself? A friend of mine recently said “I can’t change it, I can only do my best with it” when talking about a family members personality trait. This attitude and recognition is so important if we want to lead a more peaceful life. 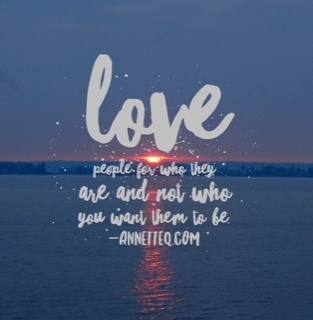 Listen to this weeks podcast and stretch your mind to think about this and how you can bring more peace to your life by adopting this mantra when dealing with others. #45 Your Business or None of Your Business? “If it’s none of your business, don’t make it your business” is this weeks Mind Yoga Quick Quote. I’ll talk about and encourage you to stretch your mind and really think about how often we give our opinion when not even asked and why we use the excuse “I was just trying to help”. Once we can become aware of how often we try to help others when we were not asked to, and once we can start to “mind our own business”, we will learn to have more peace in our lives. #44 Are you better than you use to be? This week’s Mind Yoga Quick Quote is from a Tim McGraw song. Do you believe you are better than you use to be? Or, do you believe you are the person you are and you can’t change? In this week’s episode I’ll talk about how we all have free will and each and every day we choose the person we want to be. Who do you want to be? Think about that, start stretching your mind and take a listen! 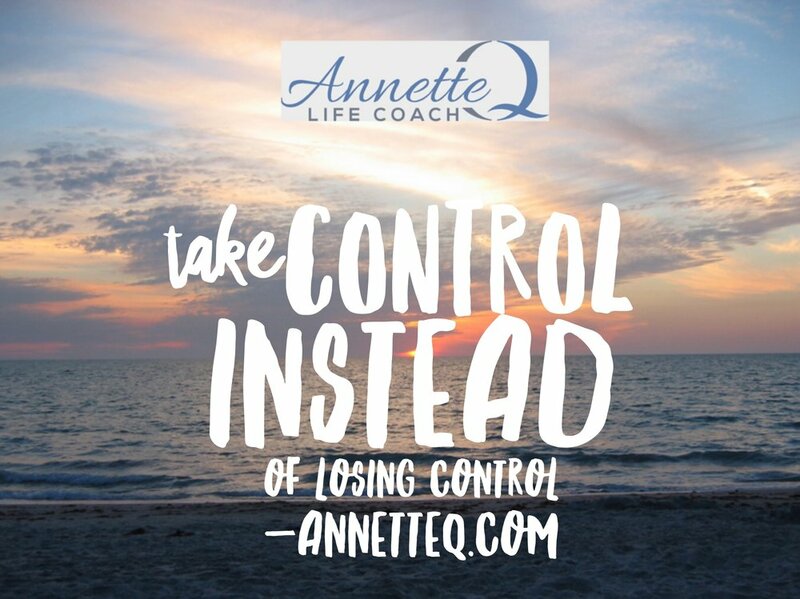 “Take Control Instead of Losing Control” is this weeks quick quote. Do you find yourself losing the ability to think and act rationally? Do you lose your temper more than you care to admit? In this week’s episode I encourage you to stretch your mind and think about why…why do we let things get the best of us and how can we have more control of our lives? We can’t control others but we CAN control ourselves. Learn how you can do this and have more peace in your life. #42 Let's leave our excuses in 2018! “As we begin 2019 let’s leave our excuses in 2018”. It’s a New Year and time for a fresh start. In this week’s episode I talk about excuses and how we can’t move forward when we use excuses. We all use them, but how can we stop from doing so? Join me as I ask some mind stretching questions to get you thinking about how often you use excuses and the benefits of taking responsibility for our lives. FORGIVENESS! It’s so important and we have total control whether we choose to forgive someone, but we often don’t. Why? 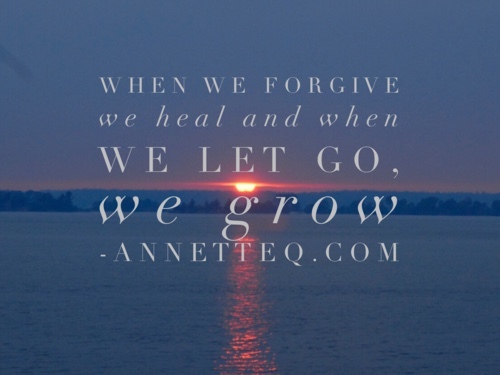 Why can’t we move on and forgive others? As we begin a New Year, let’s try to forgive others (including ourselves) and start the New Year with a clean slate. In this week’s podcast I rebroadcast a previous episode on forgiveness and I also ask you if you can’t forgive someone, how can you expect others to forgive you? We all need forgiveness—we all have hurt people and not realized it. Forgiveness cleanses our soul and helps us to grow. Start now by getting out your Mental Mat and listening for the next few minutes. This week’s podcast is a re-broadcast of an earlier Mind Yoga Quick Quotes and is one I got the most feedback on. Everyone Loves LOVE! And because during the holiday season, we tend to spend more time with those we love, I thought it appropriate to re-play and get our minds stretched some more on this subject. Listen and start exercising your mind and may your holiday season be filled with many moments with those you LOVE. Our minds are so powerful and yet we often don’t give a second thought to our thoughts. 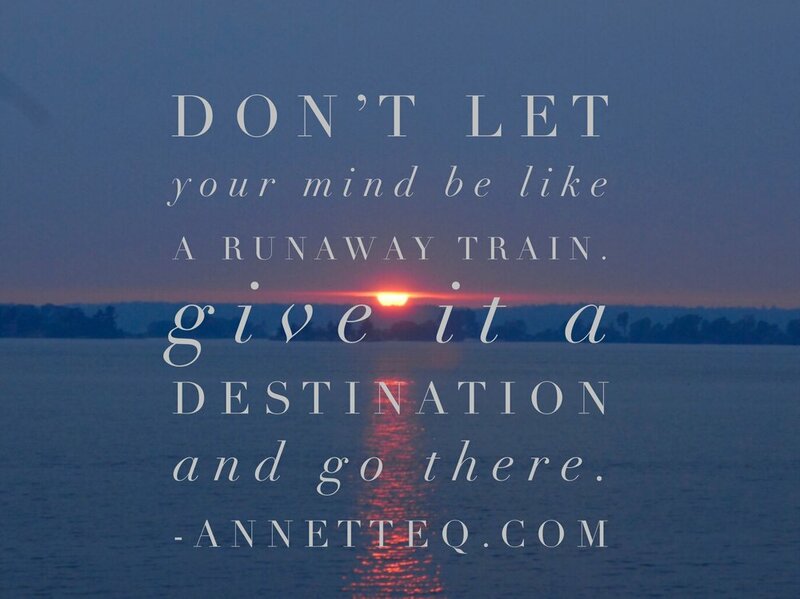 Without a conductor, a train will become a runaway train, and our mind is similar. We CAN learn to keep it on track and avoid disaster. It takes practice and patience. Listen this week and give your mind a mental workout. I’ll ask you some warm up questions to get your mind stretched so you can start exercising your most important muscle—your Mind! In this weeks podcast I talk about our Ego’s and how our Ego plays a big part of how we think and ultimately feel. I give you some questions to begin to stretch your mind and think about how often you may, without even knowing it, be responding because of your Ego vs your Soul. Take seven minutes for your mental health and listen. 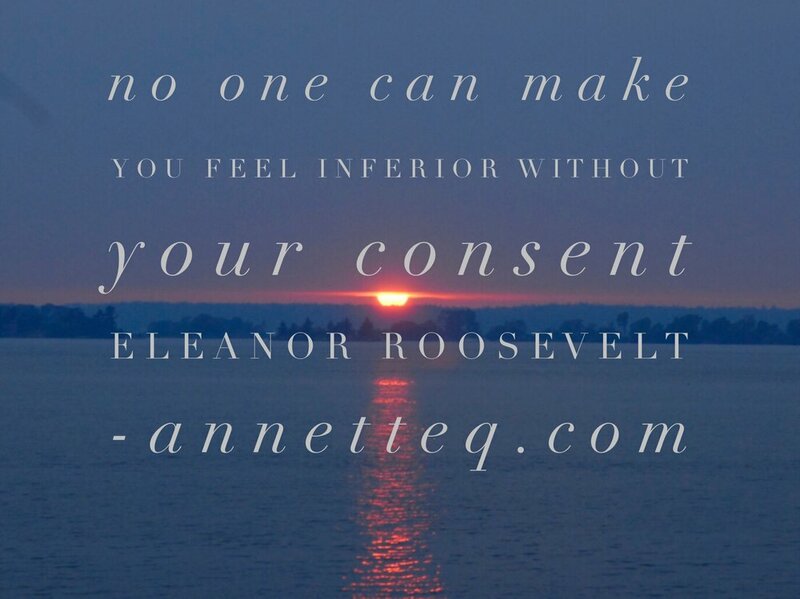 Eleanor Roosevelt said “No one can make you feel inferior without your consent”. This week we take a deep dive into this quote and really begin to uncover why this is true. People say things and we feel all different feelings based on what they said, but it is not what they said, but how we think about what they said, that makes us feel a certain way. Take out your Mental Mat and get ready to stretch your mind!